This week I have a case of palatal tori evident not only on a periapical radiograph but a pantomograph as well. 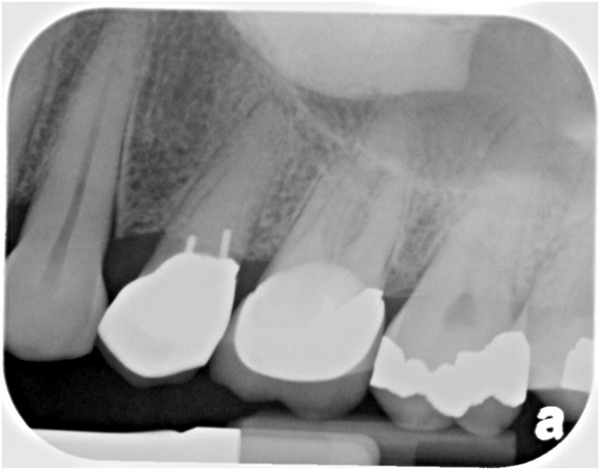 On the periapical radiograph it appears as a radiopaque mass superior to the maxillary teeth. The pantomograph shows a well-defined horizontal radiopaque band directly inferior to the floor of the nasal cavity extending from the maxillary right first molar to the left first maxillary molar. And now onto the educational video by Dental Class of 2015 students Laura Johnson and Sydney Unzicker. If you have any questions or comments about palatal tori, please leave them below. Thanks and enjoy!